BEST Dog Kennel - Dog Boarding - Tallahassee FL. 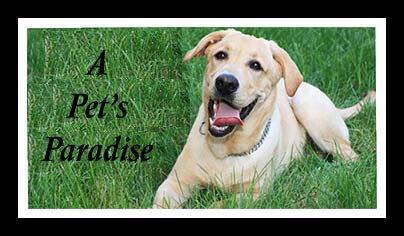 If you need Dog Boarding or Dog Kennel services, our love for pets is why we call Wagland Kennel a "Pet's Paradise". We have been in operation since 1992. It is our privilege to care for your pet at Wagland kennel while you can't be with your pet. Our prices are competitive and our service is unmatched! Please remember to bring your pet's bed, treats, toys and food before bring them to us. We are conveniently located about 2.5 miles just off the interstate on Hwy 90 heading toward Monticello. We look forward to seeing you and your pet soon! We want them to feel right at home here at Wagland Kennel! Contact Us today. Please call (850) 878-6590 to make reservations for your beloved pet. You must also call us for our holiday schedule and hours. Visit our Contact Us page to make reservations online. Pets enjoy returning time and time again. Both you and your pet's happiness is very important to us here at Wagland Kennel. We have pets of our own and you can rest assured, your pet will be treated with the same love and affection we give our own pets!